11 A None No Power Seat 11 A is a standard Economy Class seat that may have restricted legroom due to the position of the bulkhead. 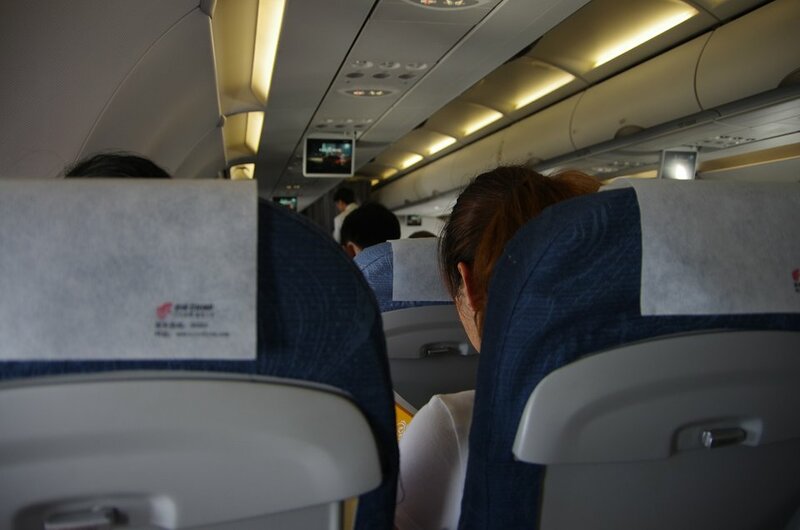 The tray table is in the armrest, making the armrest immovable and slightly reducing the seat width and there is no floor storage for this seat during takeoff and landing. Passengers with infants are often seated at this row due to the position of the bassinets. 11 B None No Power Seat 11 B is a standard Economy Class seat that may have restricted legroom due to the position of the bulkhead. The tray table is in the armrest, making the armrest immovable and slightly reducing the seat width and there is no floor storage for this seat during takeoff and landing. Passengers with infants are often seated at this row due to the position of the bassinets. 11 C None No Power Seat 11 C is a standard Economy Class seat that may have restricted legroom due to the position of the bulkhead. The tray table is in the armrest, making the armrest immovable and slightly reducing the seat width and there is no floor storage for this seat during takeoff and landing. Passengers with infants are often seated at this row due to the position of the bassinets. 11 J None No Power Seat 11 J is a standard Economy Class seat that may have restricted legroom due to the position of the bulkhead. The tray table is in the armrest, making the armrest immovable and slightly reducing the seat width and there is no floor storage for this seat during takeoff and landing. Passengers with infants are often seated at this row due to the position of the bassinets. 11 K None No Power Seat 11 K is a standard Economy Class seat that may have restricted legroom due to the position of the bulkhead. 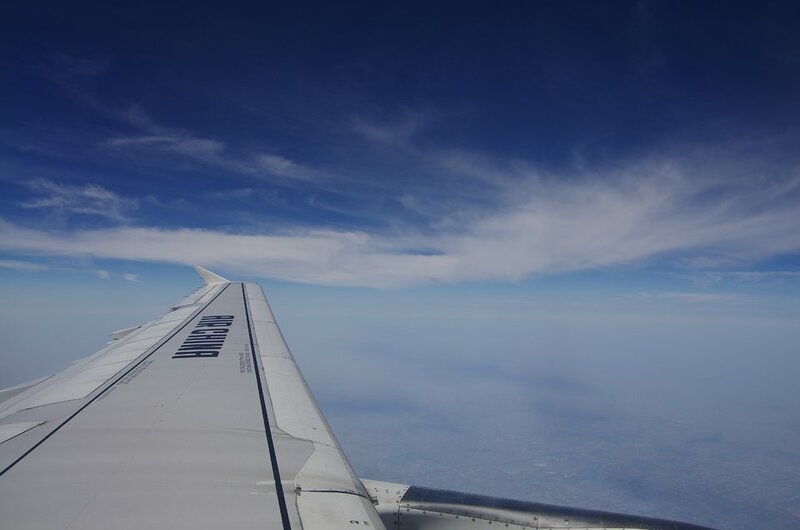 The tray table is in the armrest, making the armrest immovable and slightly reducing the seat width and there is no floor storage for this seat during takeoff and landing. Passengers with infants are often seated at this row due to the position of the bassinets. 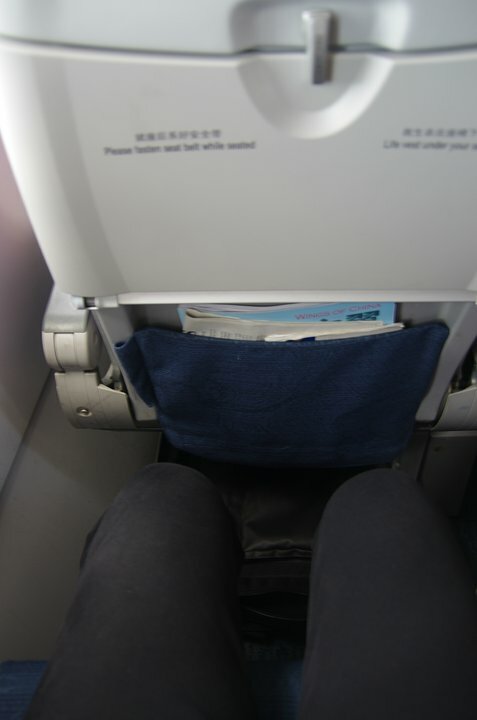 11 L None No Power Seat 11 L is a standard Economy Class seat that may have restricted legroom due to the position of the bulkhead. The tray table is in the armrest, making the armrest immovable and slightly reducing the seat width and there is no floor storage for this seat during takeoff and landing. Passengers with infants are often seated at this row due to the position of the bassinets. 14 A None No Power Seat 14 A is a standard Economy Class seat that may not recline due to the exit row behind. 14 L None No Power Seat 14 L is a standard Economy Class seat that may not recline due to the exit row behind. 15 A None No Power Seat 15 A is a standard Economy Class seat that may not recline due to the exit row behind. 15 C None No Power Seat 15 C is a standard Economy Class seat that may not recline due to the exit row behind. 15 J None No Power Seat 15 J is a standard Economy Class seat that may not recline due to the exit row behind. 15 L None No Power Seat 15 L is a standard Economy Class seat that may not recline due to the exit row behind. 16 A None No Power Seat 16 A is a standard Economy Class seat that has extra legroom due to the exit. The tray table is in the armrest, making the armrest immovable and slightly reducing the seat width. There is no floor storage for this seat during take-off and landing. 16 B None No Power Seat 16 B is a standard Economy Class seat that has extra legroom due to the exit. The tray table is in the armrest, making the armrest immovable and slightly reducing the seat width. There is no floor storage for this seat during take-off and landing. 16 C None No Power Seat 16 C is a standard Economy Class seat that has extra legroom due to the exit. The tray table is in the armrest, making the armrest immovable and slightly reducing the seat width. There is no floor storage for this seat during take-off and landing. 16 J None No Power Seat 16 J is a standard Economy Class seat that has extra legroom due to the exit. 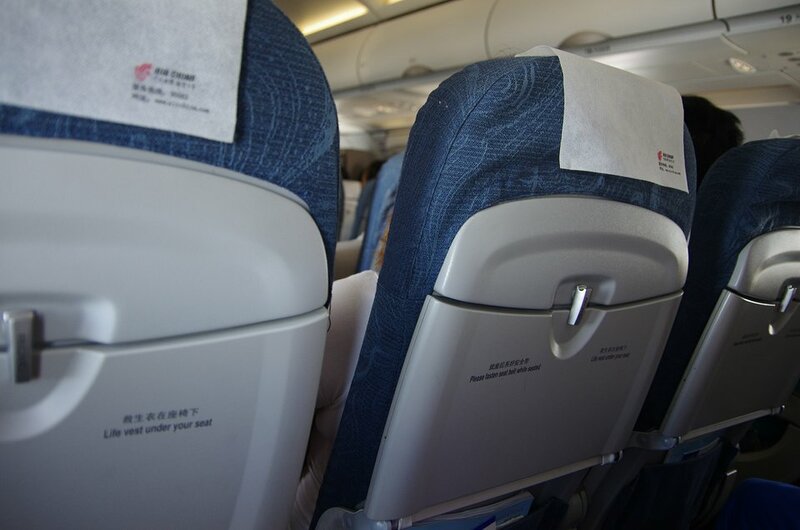 The tray table is in the armrest, making the armrest immovable and slightly reducing the seat width. There is no floor storage for this seat during take-off and landing. 16 K None No Power Seat 16 K is a standard Economy Class seat that has extra legroom due to the exit. The tray table is in the armrest, making the armrest immovable and slightly reducing the seat width. There is no floor storage for this seat during take-off and landing. 16 L None No Power Seat 16 L is a standard Economy Class seat that has extra legroom due to the exit. The tray table is in the armrest, making the armrest immovable and slightly reducing the seat width. There is no floor storage for this seat during take-off and landing. 25 C None No Power Seat 25 C is a standard Economy Class seat whose proximity to the lavatories may be bothersome. 25 J None No Power Seat 25 J is a standard Economy Class seat whose proximity to the lavatories may be bothersome. 26 J None No Power Seat 26 J is a standard Economy Class seat whose proximity to the lavatories may be bothersome. 26 K None No Power Seat 26 K is a standard Economy Class seat whose proximity to the lavatories may be bothersome. 26 L None No Power Seat 26 L is a standard Economy Class seat whose proximity to the lavatories may be bothersome. 27 A None No Power Seat 27 A is a standard Economy Class seat that has extra legroom due to the exit however, the proximity to the lavatories may be bothersome. The tray table is in the armrest, making the armrest immovable and slightly reducing the seat width. There is no floor storage for this seat during take-off and landing. 27 C None No Power Seat 27 C is a standard Economy Class seat that has extra legroom due to the exit however, the proximity to the lavatories may be bothersome. The tray table is in the armrest, making the armrest immovable and slightly reducing the seat width. There is no floor storage for this seat during take-off and landing. 27 J None No Power Seat 27 J is a standard Economy Class seat that has extra legroom due to the exit however, the proximity to the lavatories may be bothersome. 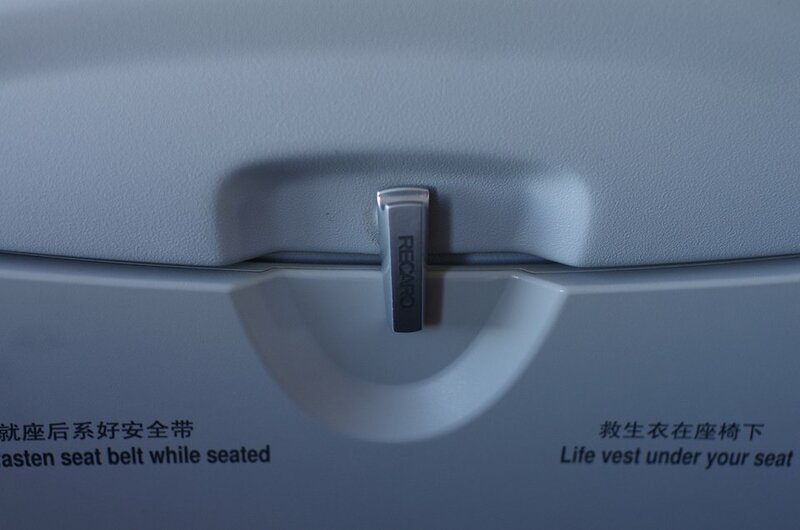 The tray table is in the armrest, making the armrest immovable and slightly reducing the seat width. There is no floor storage for this seat during take-off and landing. 27 L None No Power Seat 27 L is a standard Economy Class seat that has extra legroom due to the exit however, the proximity to the lavatories may be bothersome. The tray table is in the armrest, making the armrest immovable and slightly reducing the seat width. There is no floor storage for this seat during take-off and landing. 28 A None No Power Seat 28 A is a standard Economy Class seat that has extra legroom due to the missing seat in front. 28 L None No Power Seat 28 L is a standard Economy Class seat that has extra legroom due to the missing seat in front. 39 C None No Power Seat 39 C is a standard Economy Class seat whose proximity to the lavatory and galley may be bothersome. 39 J None No Power Seat 39 J is a standard Economy Class seat in the last row of the aircraft whose proximity to the lavatory and galley may be bothersome. 39 K None No Power Seat 39 K is a standard Economy Class seat in the last row of the aircraft whose proximity to the lavatory and galley may be bothersome. 39 L None No Power Seat 39 L is a standard Economy Class seat in the last row of the aircraft whose proximity to the lavatory and galley may be bothersome. 40 A None No Power Seat 40 A is a standard Economy Class seat in the last row of the aircraft whose proximity to the lavatory and galley may be bothersome. 40 B None No Power Seat 40 B is a standard Economy Class seat in the last row of the aircraft whose proximity to the lavatory and galley may be bothersome. 40 C None No Power Seat 40 C is a standard Economy Class seat in the last row of the aircraft whose proximity to the lavatory and galley may be bothersome. Air China's Airbus A321 seats 185 passengers in a two class configuration with 12 First Class seats and 173 Economy seats. Leg room limited, although is 1st row of the section. Unacceptably small pitch and legroom for first class. Seat is thick, old-style with a tiny table and power outlet that is loose and can't hold chargers. Overhead TV in this cabin blares commercials throughout the flight, making this not a good experience.